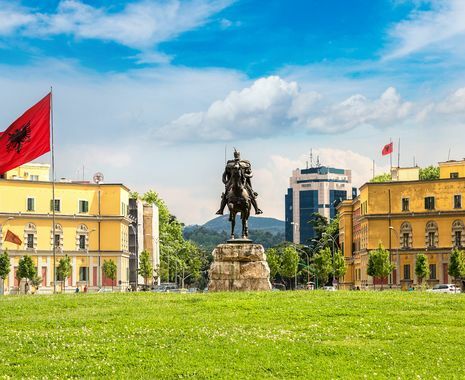 This journey takes in the main sights of Albania including Tirana, Gjirokastër and Berat, then travels into one of Europe’s newest nations, Kosovo. Here, discover the monastery complex of Decan and the capital, Pristina, with its mix of Ottoman, Balkan and Soviet architecture. Also includes a day trip to the Macedonian capital, Skopje. Excursion to the Macedonian capital, Skopje. Guided tour of the old Turkish bazaar, Daut Pasha Hammam and see the monumental stone bridge. Drive to the beautiful Matka canyon for a walk and then return to Pristina. This tour is based in 3- and 4-star accommodation.